There no highly-acclaimed newspapers, or reputable weather channels appearing at the top. Scrolling further down, and visiting other pages, it becomes clear that The Daily Express tabloid is dominating the results. This continues page after page. 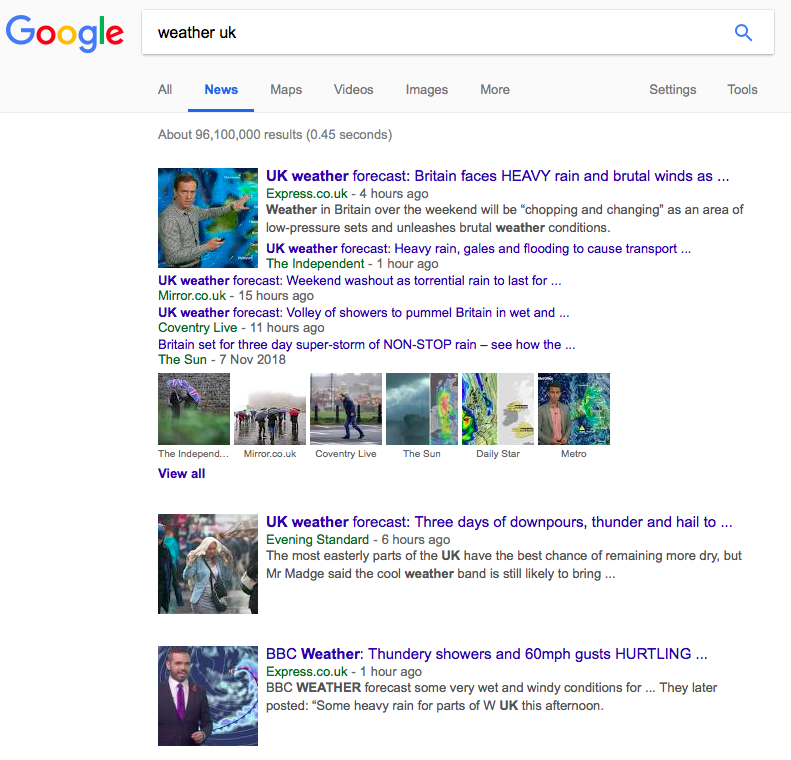 Now, that's for just a simple, generic query like "weather uk". 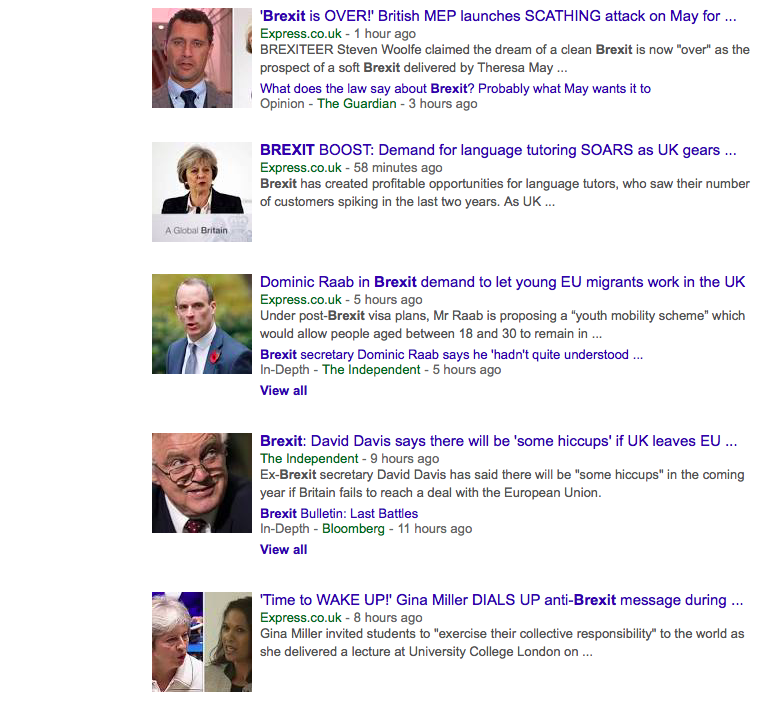 Does it look like they are gaming Google's search results for news? Is there a way to alert Google to investigate this without having direct proof (e.g. such as spammy links, or questionable on-page practices)? I doubt that they are gaming it. The Express, regardless of its objective merits or lack thereof, is one of the UK’s most popular newspapers. And it’s notorious for publishing lots of weather stories based on dodgy long-term forecasts from publicity-seeking pseudo-meteorologists, because those (along with equally dodgy stories about house prices and things that cause/prevent cancer) are what sell newspapers to its target audience. 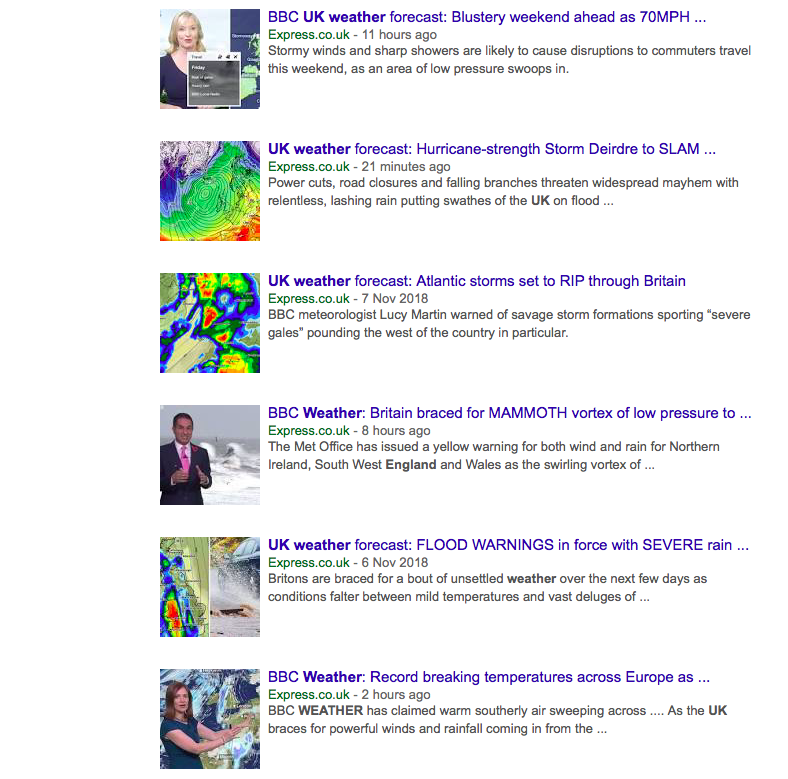 And so it’s not surprising that it should perform well on searches for UK weather. Not the answer you're looking for? Browse other questions tagged seo serps ranking google-ranking blackhat or ask your own question. How to disappear from the first page of search engines' search results?